Are you looking for a way to treat your family to a sweet snack without heating up the kitchen? I have you covered! 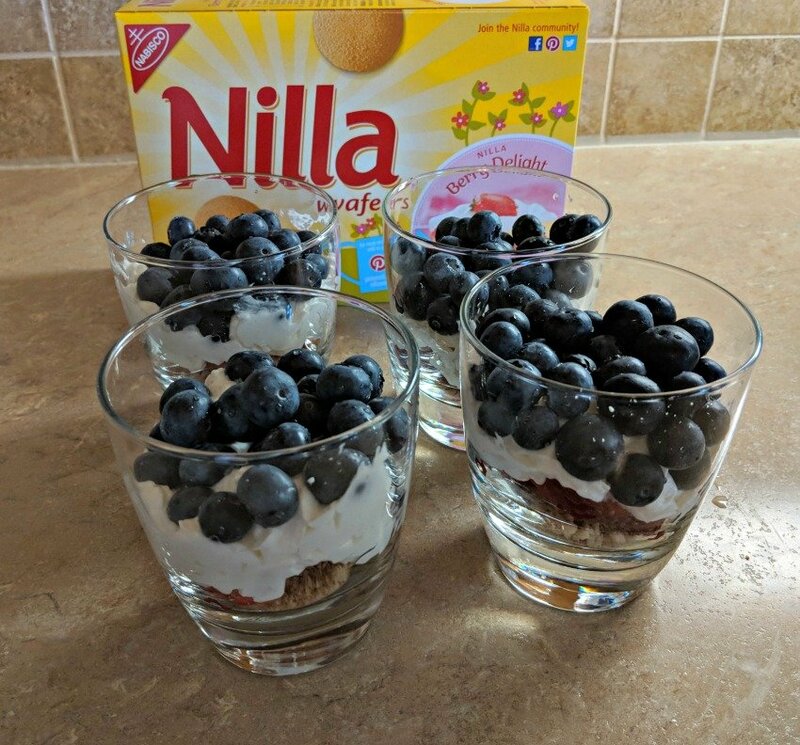 You don’t need to go near the oven to make these NILLA Wafers Fruit Parfait desserts. And just look how festive they are! 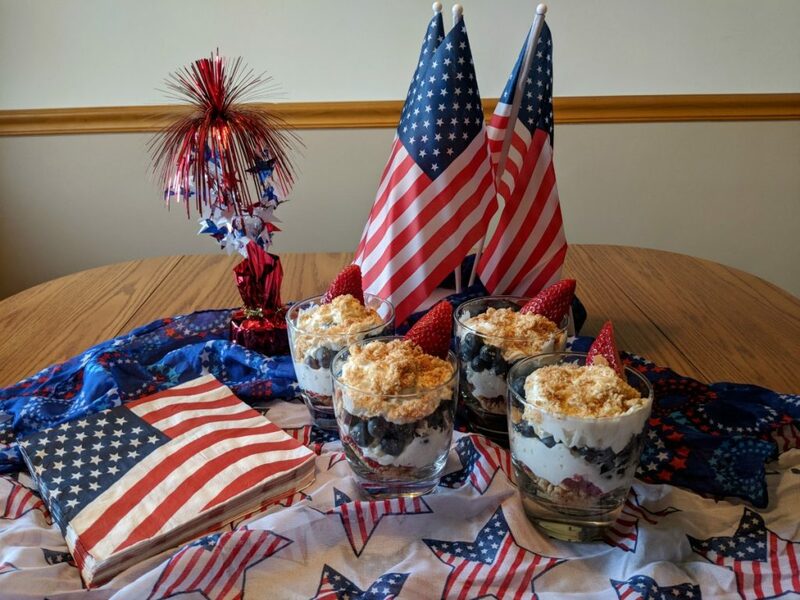 They’re perfect to serve for a Memorial Day or Independence Day gathering. I am a huge fan of anything lemon flavored…okay, almost anything. 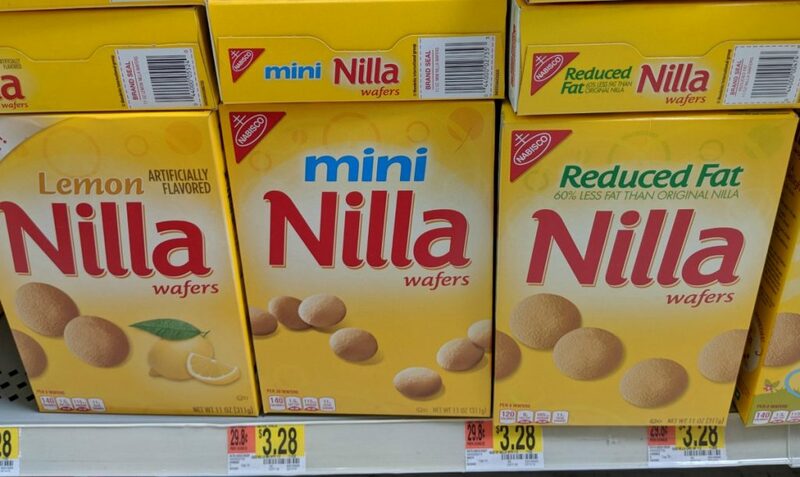 When I saw that NILLA Wafers have a lemon flavored wafer, I was all over that! I had to try them, but I couldn’t pass up the original NILLA Wafers. There’s just something about them that floods me with great memories. Needless to say, I bought both flavors on my recent trip to Walmart. I knew that I wanted to make a no-bake fruit parfait dessert, and I thought lemon would pair really well with them. I was right! The Lemon NILLA Wafers were perfect for my dessert. No-bake desserts are great for summer. Who remembers the days of living without A/C? I do! I remember one particular summer…the summer before 5th grade. 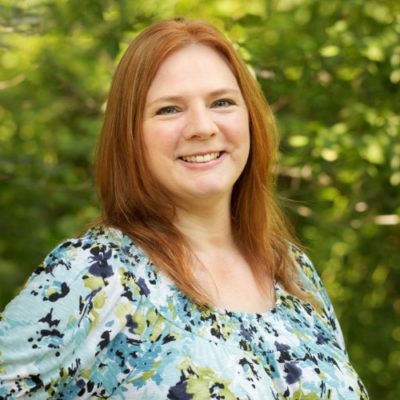 My family lived in a house with central air, but it broke that summer. Being the thrifty guy he is, my dad moved us to the basement. We had a really big basement, so it worked out well. My two sisters and I had one room, and my parents had the other. The room that my parents had also had our television, and it was where we ate that summer. 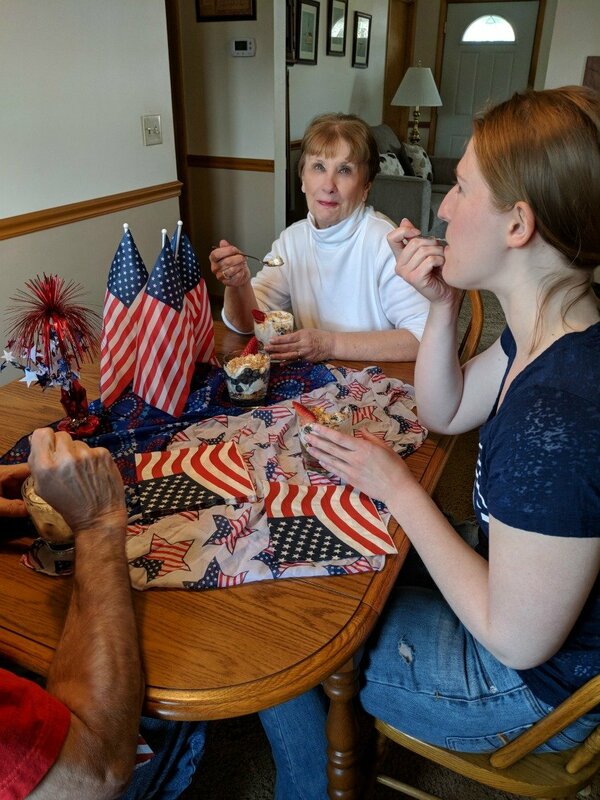 I’m pretty sure that my mom must have suffered a lot that summer since we couldn’t move the kitchen to the basement, and our meals couldn’t ALL be no-bake. Yes, now most of us do have central air, but who wants a huge electric bill?! Why heat up your kitchen by turning on the oven only to have to crank up the air? 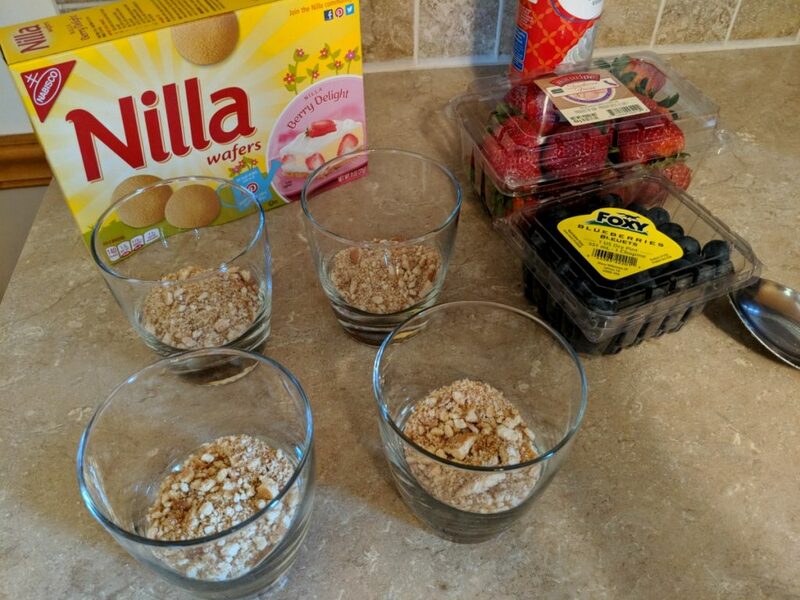 Make these fruit parfaits often this summer. 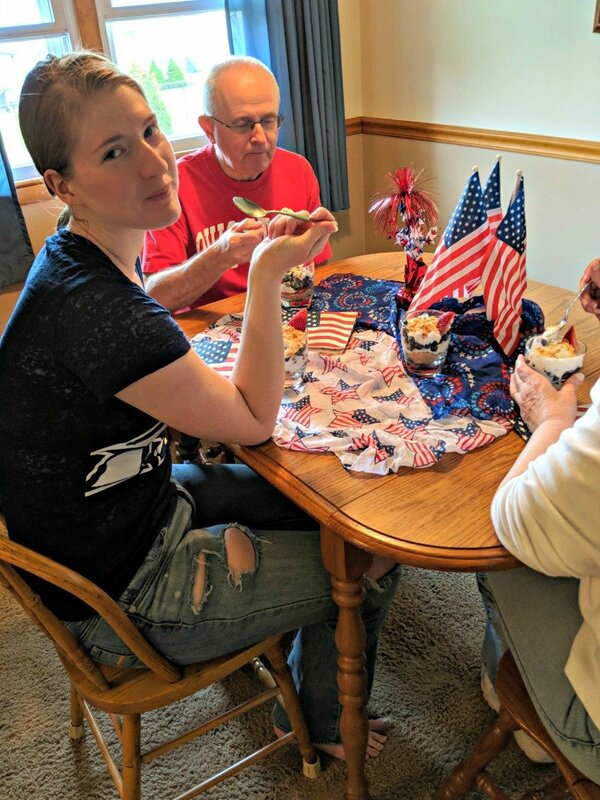 Your family will thank you, and you can stay nice and cool while making them! Don’t you love it when you don’t have to bake and you only need four ingredients to get a sweet treat? I do! 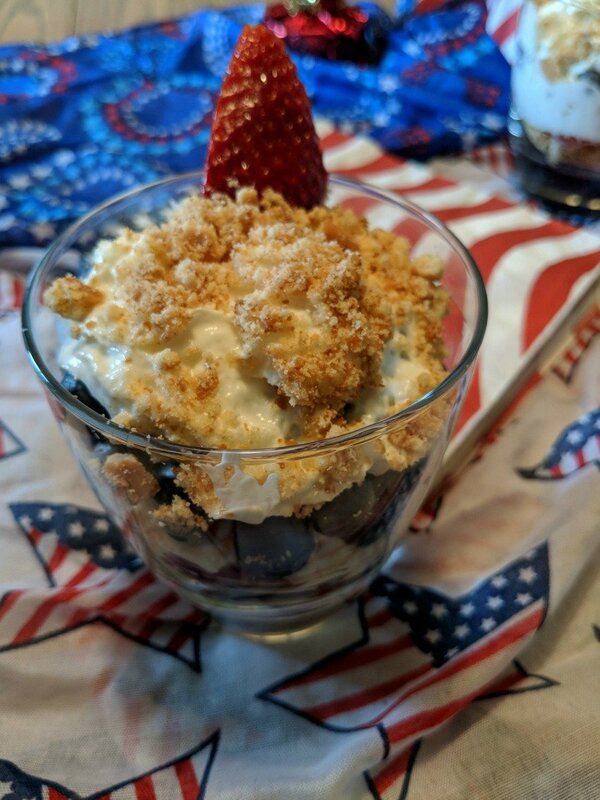 This fruit parfait was so simple, so tasty and so festive. I crushed about 3/4 of the box of Lemon NILLA Wafers and layered about half of them in the bottom of four small glasses. Then I layered sliced strawberries and topped those with whipped topping. Then I added blueberries and more whipped topping. 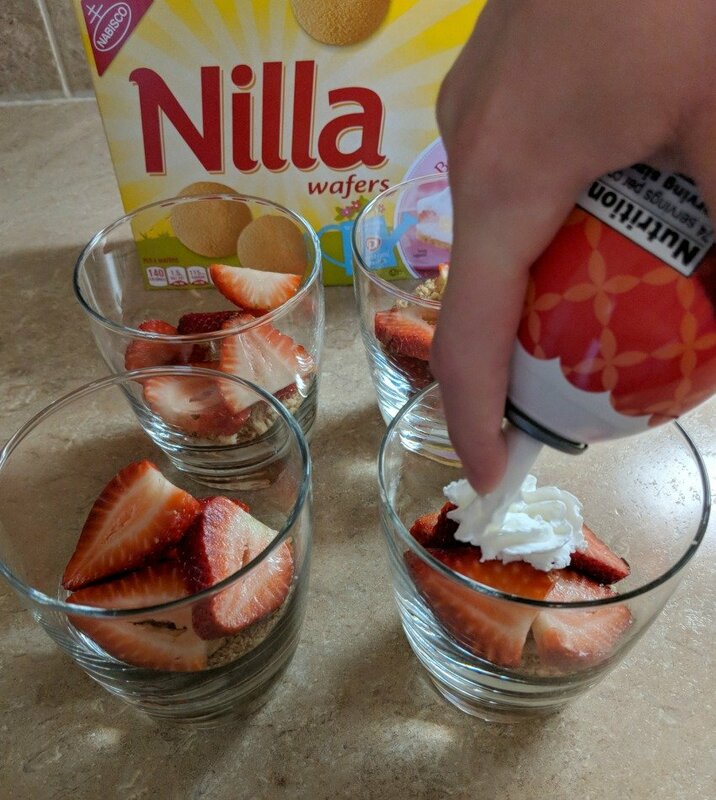 Finally I added more crushed Lemon NILLA Wafers and a strawberry slice. My daughter said I should have cut the strawberry into a star…she should have told me before I used the strawberries up! So, you can make yours into stars! I think they turned out really cute, and I know they turned out really tasty! My daughter and my parents loved them! I know I’ll be making them again soon. With NILLA Wafers from Walmart, the dessert possibilities are endless. 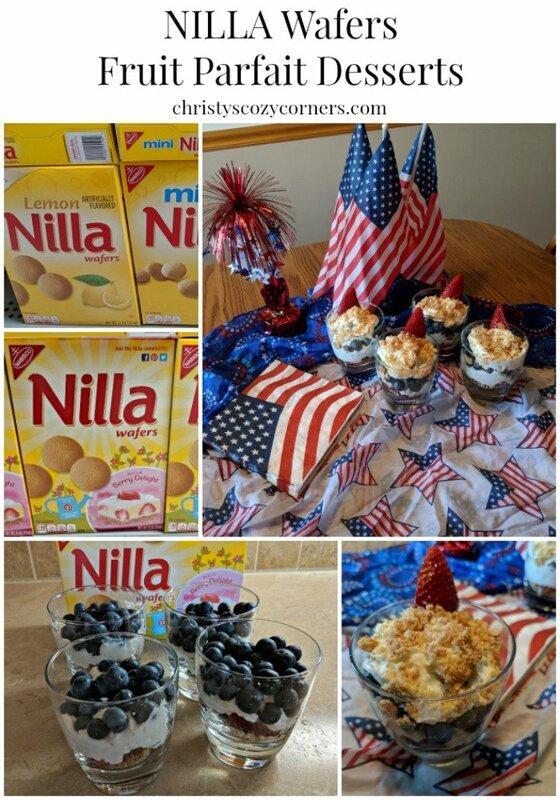 You can find more recipes on the NILLA Wafer recipe website. OoO I love a good trifle and that one looks amazing! 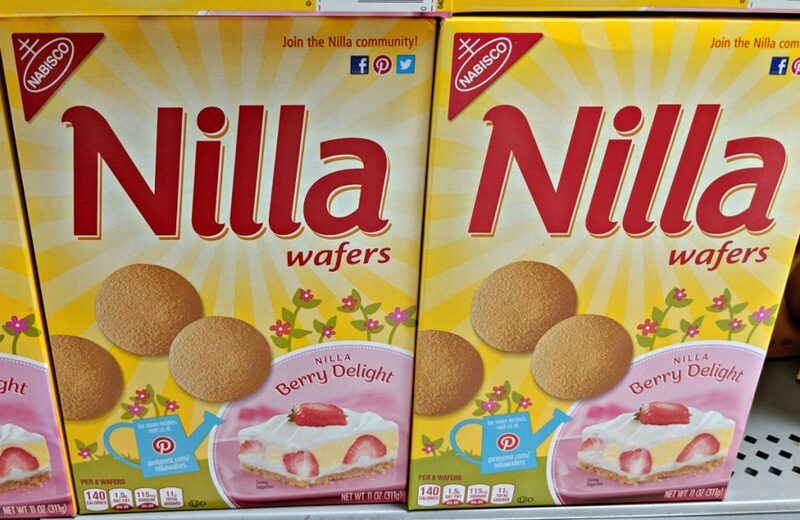 Also, I’ve never seen Berry Nilla Wafers. I’m going to have to look for those.